Sleeping Giant NY is a family of independent gastropubs that have grown to become New York City's most beloved bars: Bua (East Village, est. 2004), Wilfie & Nell (West Village, est. 2008), Sweet Afton (Astoria, est. 2009), The Wren (Bowery, est. 2011), The Penrose (Upper East Side, est. 2012), The Bonnie (Astoria, est. 2014) and The Spaniard (West Village, est. 2017). The bars operate independently, united by a belief in the power of hospitality, a shared work culture and the chance for employees to grow and explore opportunities across different locations. We believe in fostering a dynamic work environment in which excellence, creativity and attention to detail are rewarded. We promote from within and seek to identify and nurture staff members' unique strengths and talents. We are proud to offer health insurance, biannual staff bonuses and 401K. We believe in a collaborative company culture that encourages cooperation and communication, and we highly value diversity, respect and trust among our entire staff. Sleeping Giant has grown from one small East Village location to a portfolio of seven successful bars that navigate the delicate balance between consistency, quality and high volume, serving nearly a million customers each year. Our bars have received accolades from publications such as The New York Times, New York Magazine, The Wall Street Journal and The New Yorker. 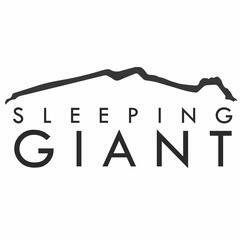 To learn more, please visit www.sleepinggiantny.com.